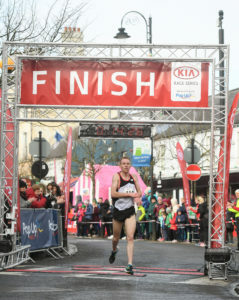 A record entry of over 1,000 runners are expected to take to the Streets of Kilkenny this coming Thursday (18th April), for the annual “Streets of Kilkenny 5k”, hosted by local club Kilkenny City Harriers. 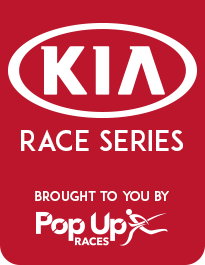 The year the 5k is also part of 2019 Kia Race Series, brought to you by Pop Up Races. 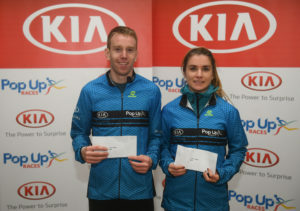 The Kia Race Series is Ireland’s premier nationwide road race series, taking in established club races across Ireland, pitting Irelands best male & female runners against each other, with the overall winners driving away in a brand-new Kia Stonic to use for 1 year. With significant course record bonuses also on offer, proudly sponsored by Kia Ireland, this race is really shaping up to be a fantastic occasion. This is round two of the series, with Donore Harriers athlete John Travers (Pictured below) and DSD’s Linda Byrne taking an early lead on this year’s Kia Race Series leader board. Local Kilkenny man Thomas Hayes will have to battle it out with Hiko Tanosa & defending Kia Race Series car holder Eric Keogh to take the honours. Linda Byrne has confirmed her intention to run, and so will look to strengthen her grip on top spot in the race for the Stonic.